VR $1,375,000-$1,475,000. Enjoy panoramic easterly views & glorious sunrises from this wonderful single story home. 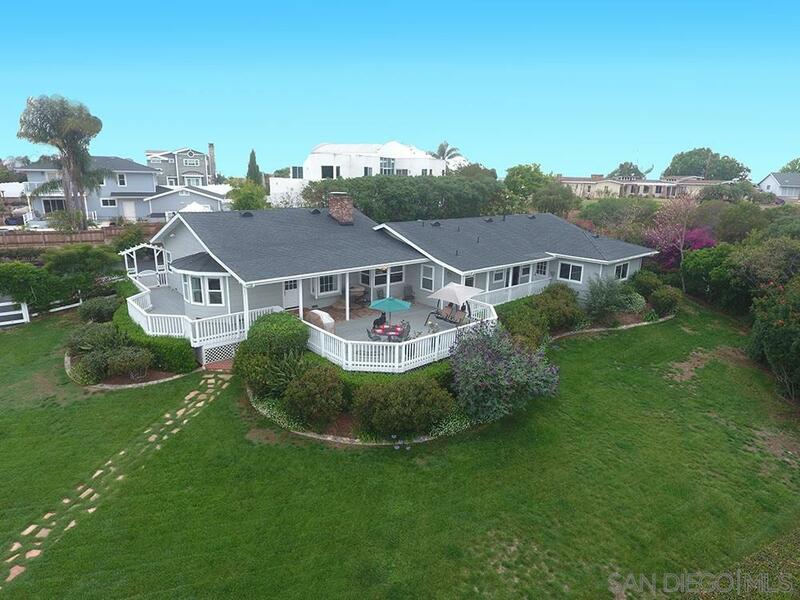 Located on one of Old Carlsbad's most desirable streets, in a peaceful, private location, it feels like your own paradise. The flat, usable 1.26 acres offers many possibilities & includes an easement for secondary access to the property. The large wrap around deck is perfect for relaxing or entertaining. Updated/remodeled throughout yet still offers some of it's original charm., Photos are from when the home was occupied. Other features include hardwood floors, newer stainless steel appliances, ceiling fans in all rooms, open kitchen with eating nook, newer garage door opener, newer 75 gal water heater with recirculating pump & timer. The home was updated in 2000 with new copper plumbing, new electrical, new water and gas main from the street, 4th bedroom/retreat added, kitchen and master remodeled, re-trussed roof, new windows, fully finished garage, wrap around deck, new insect resistant lap siding and deck, new insulation. Seller has taken great care of this home! Conveniently located minutes to the beach, the Village, shopping, restaurants, schools and theaters. Enjoy the Olde Carlsbad lifestyle!